On Page Optimization: This refers to all measures that can be taken directly from the website in order to improve its position in the search rankings, such as the content or improve the meta tags. Off Page Optimization: Once you are done with the on page optimization part of your website, next you should pay attention to the off page optimization. Off page, optimization part consists of optimizing all the parts of a SEO friendly website that are considered by the search engines in giving ranking preference to a website. In simple terms, tweaking controllable aspects outside the domain of your website. The primary factor of off page optimization is 'Link Building'. Our dedicated SEO services specialists help create back linking opportunities via a vast directory of websites to get the desired traffic to your website via directory submission, Forum Postings, Social Bookmarking, article submission and blogging to name a few. Competition Analysis: When you search for your keyword phrases your competitors still come out on top in the SERPs. Sounds Familiar? That's where our Competitive Analysis service comes in. To appear in the top ten SERPs for a keyword phrase, you must displace one of the existing results. Effectively optimizing your site for placement in the top ten of a search engine results page requires a solid understanding of who your competitors are for those top spots and what they are doing to achieve their results. Web Analytics: Measure, Optimize, Convert, Repeat – the four by-laws of web analysis that we live by. Apex Web Analytics team thrives on the complexity of measuring and optimizing marketing performance, continually re-inventing how we drive conversions and improve ROI for our clients. Our wide-ranging analytics, data, and engineering expertise produces actionable insights and unified, cross-channel reporting that powers performance. Any business that wants to expand and grow, cannot afford to miss out on measuring visitor movement of its website. Measuring website movement is as crucial as other important aspects of operating business. Reporting: Apex team uses the best reporting tools available, including Google Analytics. Having a suite of applications at our disposal provides us with a wealth of useful and accurate information, but it’s not the only analytics game in town. Our team chooses specific tools that deliver the most benefits and create filters to help gather the most relevant data. We make sense of the data by translating trends, identifying roadblocks and highlighting opportunities. 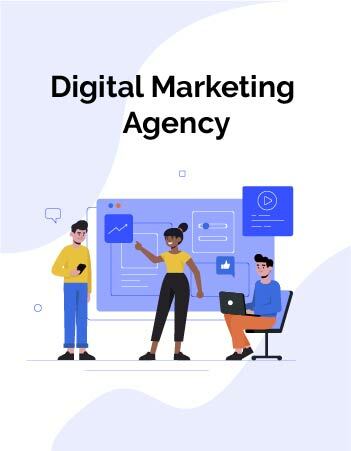 Armed with that, we work to develop a plan to optimize our customer's online efforts, maximize their ROI and meet their digital marketing goals.